Is the holiday just for people that own Jetskis? No we have quite a few friends and family that join in on Jetbou, this is why we put on the excursions daily for partners, friends and family. 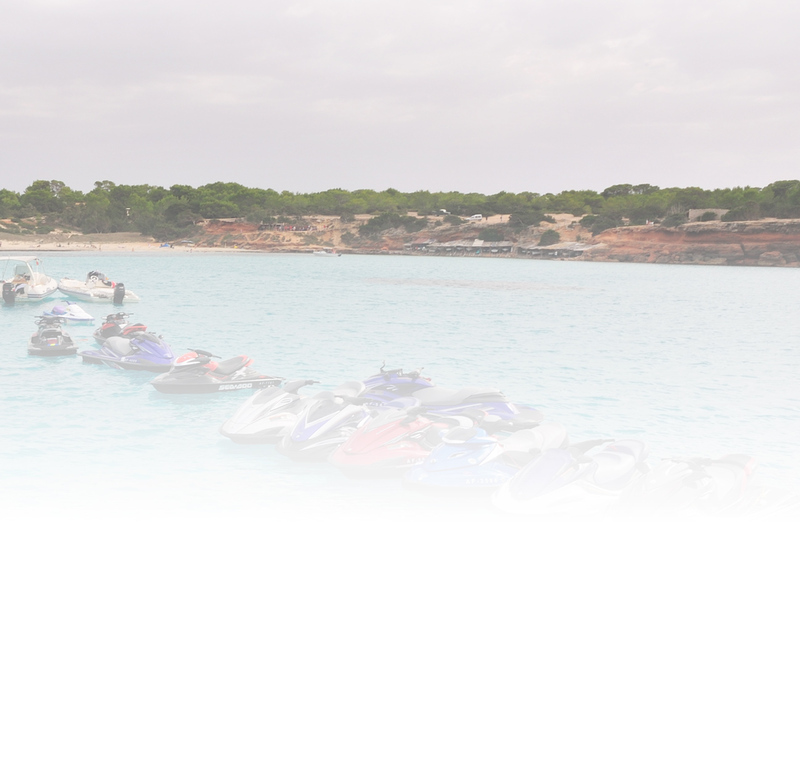 How old do you need to be to ride a Personal Watercraft (Jetski) In Ibiza? The Spanish Authorities require you be 16 years of age and over. to one of our loading points around the UK. Jets skis will start to loaded in Saturday afternoon at the end of the holiday for those who are leaving early. Loading continues from 8am on Sunday. You must be available to help load and unload your ski and ensure you are happy with how it's been loaded. If you are not available to help with the loading and unloading will get additional staff to help with this at a cost of £25 eac for loading and unloading. If you will not be avaiable to assist with this, please speak to Paul Hughes in the first instance. Can I drink and ride my ski? Drinking and riding is akin to drink driving in the UK; and is certainly against Spanish law. 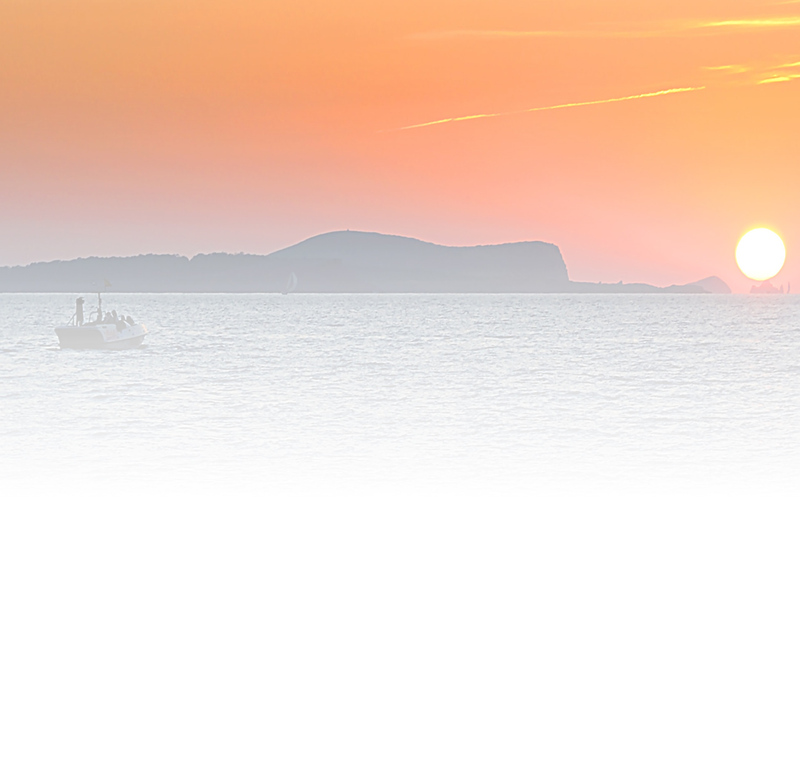 At Jetbou, we have a great relationship with local businessess, the local authorities and sponsors so help us keep this great family festival in the sunshine of Ibiza by leaving your ski on the beach if you're drinking. By taking part in Jetbou you are agreeing to not drink when riding. If you are suspected of being intoxicated we reserve the right to ask you to leave the festival and remove your ski from the beach. Fuelling your ski is simple at Jetbou. The Jetskis will go over empty so you will need to take a fuel can with you to fill up your jetski for the first time. A small Jeep is on loan to the festival and available to use to get to the fuel station. Please bring your driving licence with you. After the first fuel, the stand- up skis can carry on using this facility and the sitdown skis can use the petrol station in the harbour which is open every day. Both leaded and super-unleaded fuel is available at the the fule station. Getting on and off the water. ....so we like to let the neigbours have a little snooze time before we rev those skis! A forklift (with driver) operates a daily launch facility which is available from 10:00 each day from the ski park adjacent to Playa Bella. You will need to be available to help strap your PWC ready for the forky to lift the ski into the water for you. We're required to provide safety cover (both from the beach and on the water) for all our skiers and this is available from 10.00 - 19.00 each day, with boat cover within the bay and on the afternoon trips. Personal watecraft must be back on the beach and clear of the water by 7pm each day each day. Hotel Playa Bella is a Jetbou partner. The feswtivala nd some of the transport costs are supported by the hotel so if you would like to book accommodation elsewhere, and are bringing a ski, you will have to pay a supplement of £100 for the transport. 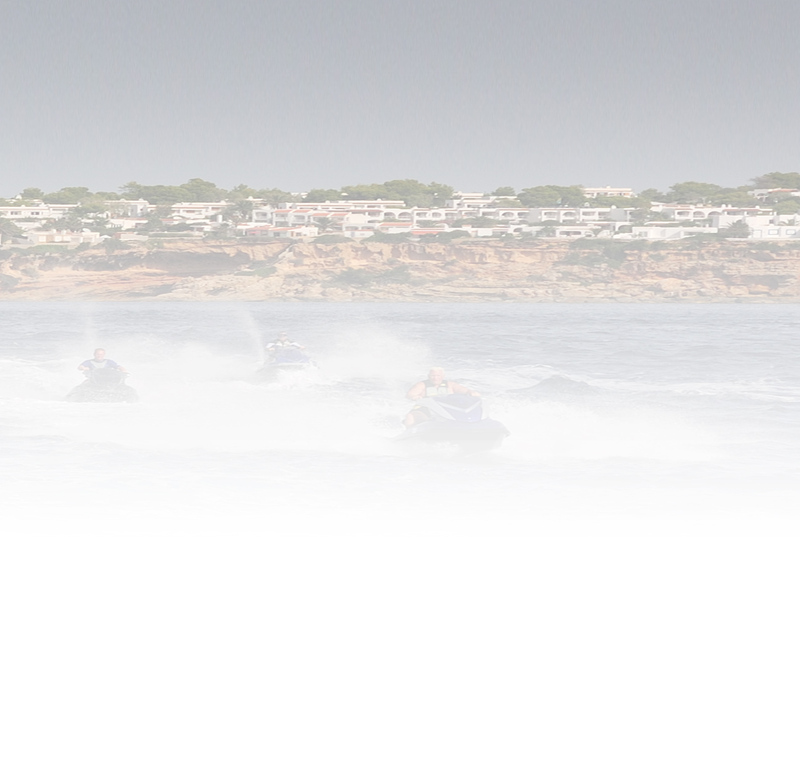 What route will the jetski transporters take? While your preparing for your holiday in the sun, the skis are on their own little jaunt. Our great friends at Harris Trucking load your craft onto double decked, purpose built trailers from the UK. Once all skis are loaded, the skills will travel by Dover, head across the English channel and carry on through France and Spain to Barcelona. From there they'll hop on a ferry for 8 hours to arrive in Ibiza n the Thursday morning before the holiday. You can arrive at Playa Bella anytime from 10 September onwards. Please ensure you let us know your dates at the time of booking. Why can I not book on-line through the hotel web site? Xtreme Action take over the whole hotel and pre-book all the rooms so it makes sure that everyone staying in our hotel are to do with the Jetbou holday. We make sure your ski is looked after. Jetbou hires its own security guard to look aftre the skis at night. Once all the skis are off the water, they are cable-locked together. The security guard looks after the secured skis between 21.00 and 08.00 each day. Please be aware that we cannot take any responsiblty for personal items or valuables that are left on or inside the skis when they are secured. Do i need to lock my Jetski? Please speak with you Insurance company about this and make sure you have the adequate cover, Xtreme Action supply a security guard and wlso each evening we lay a security cable out so you can lock you craft too, this is your own responsiblility. I want to cancel my holiday and get my deposit back? Deposits are not refundable and would suggest you speak with your holiday insurance company about making a claim. After the 1st June your holiday becomes payable in full, so if you cancel after this time full payment is required. How long has Jetbou been running? Can i put my suitcase on the lorry? you have payed for a space for your Jetski, so if you can fit things inside your watercraft that is fine but nothing can go on the floor of the trailer as we need to take over quite alot of equipment to run the event and there will be no space. Can i put my wetsuit and life jacket aid in the Jetski? Is there entertainment in the hotel every night? Yes, we make sure the hotel choose the best acts to appear on their stage nightly. Can I just book accommodation? Where are the Jetskis left at night and where do we launch them? Our hotel is next to the beach and we take over the beach during the festival and the Jetskis are kept next to the hotel and we launch from the beach with the forklifts. What happens if I break down in Ibiza? If you are on a organised trip our safety team will tow you back to shore and Marcel the Jetski mechanic can look at it for you but he will need to charge for his services. Yes, also ICC is normally needed abroad but as this is a reconised event and RYA is recognised in Ibiza for the festival of JetBou. Does my Jetski have to be empty of fuel and the battery disconnected? The weather in Ibiza in October is normally quite warm, around the mid 20's.